We all know that trees are beneficial to an urban environment. Trees provide a habitat for animals, give us oxygen, absorb CO2, filter pollutants and absorb storm-water. For our homes, they can reduce heating/cooling costs, provide screening from neighbors, and add value to your property. However, not every tree is best for every situation, that is why planning is necessary. Proper planning can save thousands of dollars for future tree and landscape services. Here we will discuss considerations when planting trees or shrubbery around your property. This is especially important when living in an urban environment where trees and houses are placed close together. Small defects in young trees such as a lean or poor structure can become problematic in the future. If the defect is corrected, the tree can be saved and potential damage to structures can be avoided. There are many added benefits to planting trees next to structures. A row of evergreens is perfect for year-round screening from your neighbors. Key placement of trees can block the view of certain windows or even enhance the appearance of your landscape. Even the placement of smaller shrubs can block vehicle headlights shining into a window. 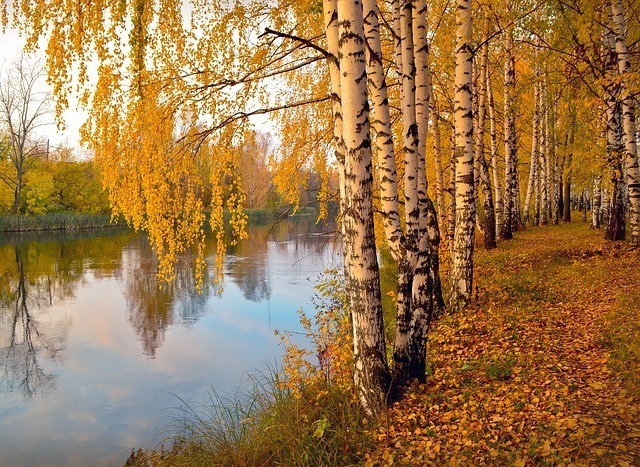 Trees also reduce heating and cooling costs during the summer and winter. Trees planted on the north end of a property block Northernly winds during the winter. Deciduous trees (trees with leaves) planted toward the south block the sun during the summer. Special consideration must be given to overhead and below ground utility lines. Sidewalks, house foundations, driveways, and power lines can all be affected by a misplaced tree. To gauge the size of the root zone, Arborists use the drip line of a tree. The drip line is the outermost edge of the branch growth. Tree roots often grow beyond the drip line. Certain tree species are more aggressive than others when dealing with root growth. For example, the root flare of a Silver Maple can raise up sidewalks, fence posts, and driveways. Knowing the tree species and how it relates to your site conditions is vital. Water management is often overlooked when considering a tree’s health. Too much water can kill a tree but placing tree with aggressive water absorption in a wet area could help soak up excess water. If an area tends to be drier, mulch can help the tree roots by retaining moisture. Mulch also protects the root flare from lawnmowers. Understanding the sun in relation to your house is vital. There are trees that grow better with full sun or partial shade. Finally, be careful with soil conditions in urban areas. Builders often replace dirt with backfill and dress it with topsoil. In 2007, Kathleen Wolf, a Ph.D. from the University of Washington, wrote in Arborist News, "Having large trees in yards along streets increases a home’s value from 3 percent to 15 percent". When planting for curb appeal, branch structure, fruit appearance, flowers, bark or leaf color are things to consider. The structure of the weeping willow is often chosen for panoramic views due to the weeping appearance of the branches. 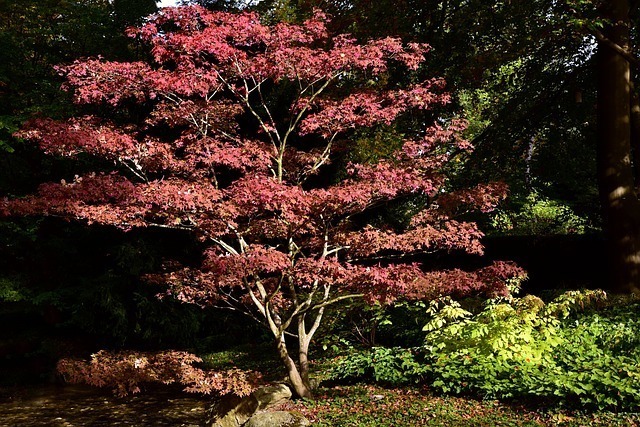 In tight yards, Japanese Maples are popular because of the vibrant color and compact size. The timing of seasons is another consideration. For instance, planting a tree with red berries or colorful exfoliating bark can add color during the winter. A colorful Crape Myrtle can spruce up the area during the early spring. During the fall, a Red Maple can bring beautiful leaf color to a fall landscape. Try if possible, to use the native species for your area when considering a new tree. Native trees help the community's eco-system of trees. Proper planning when planting a tree can save a property owner money in the long run. Issues with the young tree can evolve into big problems in the future. When planting a new tree, is best to consult with an arborist about the site and the tree species. These professionals who have seen a variety of situations involving different tree species. GV Tree & Landscape can guide you through the process. If you’re in the Washington, DC area and searching for a new tree, call us and we will be glad to help you select the right tree for your home. Need Help Selecting A New Tree?